For the next issue of the Top 10 Books, I’m reviewing two engaging books by this author: The Traveler’s Gift: Seven Decisions that Determine Personal Success and Mastering The Seven Decisions … that Determine Personal Success. Based on conversations with a number of friends and associates, I found that few were actually familiar with this author’s previous work even though his talent is known world-wide. I found this somewhat baffling due to the research I conducted. In the spirit of introduction, let me provide you with a number of reasons why you should become familiar with not only this author but also his body of work. I assure you that you’ll be delighted you did. Andy Andrews is an internationally-known speaker and novelist whose combined works have sold millions of copies worldwide. 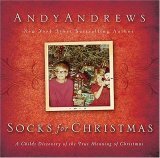 In fact, a book by Andy Andrews is sold every single minute somewhere in the world! His work has appeared on the bestseller lists of the New York Times, Wall Street Journal, USA Today, Publisher’s Weekly, Barnes & Noble, and Amazon.com. His work has appeared on these lists as fiction, nonfiction, business, religion, self-help, and literature! His work has been translated into nearly 20 languages including Braille. He has produced a home study audio program, Timeless Wisdom from the Traveler, and life-study curriculums in high schools, mental-health organizations, and prisons nationwide. His books have been required reading for some of America’s high schools, as an aid to “principled rehabilitation” by the Supreme Court of Tennessee, and a “life skills” tool for the members of several franchises of Major League Baseball and the National Football League. The Traveler’s Gift is also used extensively in corporate climates all over the world by such companies as Microsoft, General Motors, AIG, Legg Mason, and KFC. He has been received at the White House and has spoken at the request of four different United States presidents. His two-hour PBS special is entitled Andy Andrews: The Seven Decisions and is now airing nationally to incredible reviews. Every senior leader the United States Air Force has in Europe and the Middle East recently assemble in one room—at one time—to hear him speak. He would walk the golf course with Hall of Famer Nancy Lopez as she played her last tournament as a touring professional. He was invited to spend an afternoon with General Norman Schwarzkopf and his son, who was about to depart for college. In the twilight of his life, 91-year-old Bob Hope invited him to chat alone by the swimming pool in the entertainer’s back yard. Any one of the above accomplishments would be very significant on its own. Together they reflect evidence of why people are drawn to this author and professional speaker. He knows how to connect to his audience regardless of their age, race, religion, political beliefs, education or experience. He speaks in such a way that those who hear his words (in books, audio programs, or in person) are captivated and inspired to listen, learn and apply the lessons, tips, tools, and strategies he provides. The rest is history. “The Seven Decisions,” as he calls them, were the engines used to carry Andrews’ life in a different direction. And 20-plus years later, these same Seven Decisions became the outline around which he built the story of The Traveler’s Gift and the basis of his PBS Special. This entry was posted in Meet the Authors by Harry K. Jones. Bookmark the permalink. Andy is truly an inspiring individual who has had a tremendous impact on my life. I would recommend anything he writes to anyone. If you ever have a chance to see him speak, don’t pass go, don’t worry about the $200 just go see him. It’s truly amazing.